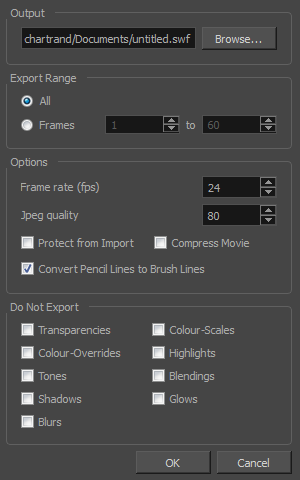 • Pencil line thickness: They are converted to brush strokes in the .swf file. • Auto Patch node for creating joint patches. If you have not already done so, you should preview the .swf by using the SWF preview button to see what the two types of effects look like when blended together. Once you are satisfied with the results, go ahead and export your movie.